It was an exhilarating experience! 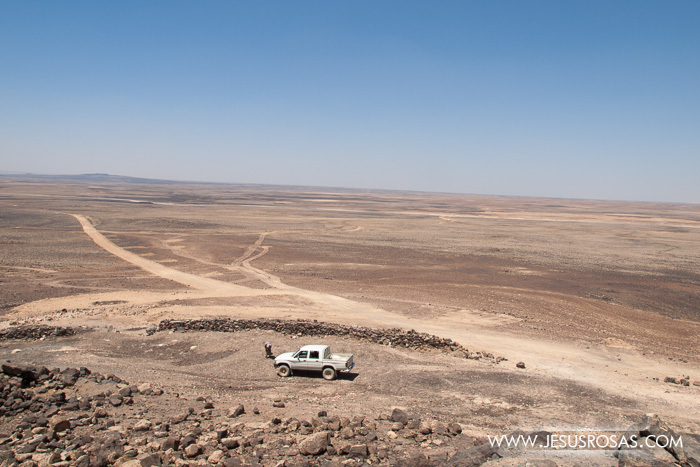 After being immersed in homework, getting away for the weekend into a hardly transited place far away in the northeast of Jordan sounded sooo good! It would be a trip just a few hours from the Iraqi, Syrian, and Saudi Arabian borders. Two Jordanian guides, two of my friends, and I got on a truck. Omar, who worked in a military camp, and another man who was a true and proud Bedouin would take my friends and I around. Once on the road, I leaned my head out of the window and felt the nice air blowing my face under a hot-midday summer sun. See in the map below the places I visited in this story. I had been in Jordan for a month and a half studying Arabic with my classmates from Brigham Young University. I was at the point where homework was really burning all my energies and deteriorating my mood. I really needed a break. I wanted to escape for at least one or two days to clear my mind, and this last-minute trip was my chance. We got off the road and got on one of dirt. After some kilometers there wasn’t even that. We were coming from Safawi. 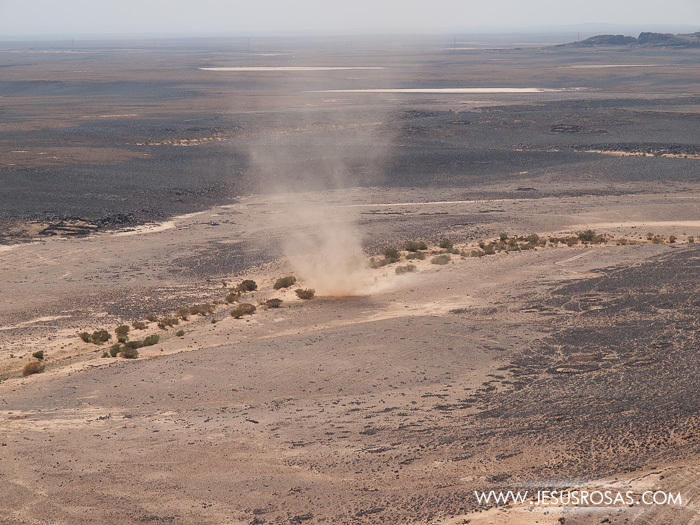 After some minutes we were on plain ground with no roads, no lanes, no animals, no vegetation; just dirt, small rocks, a blue sky with some clouds in front of us and a large cloud of dust behind our truck. On our way through the desert. 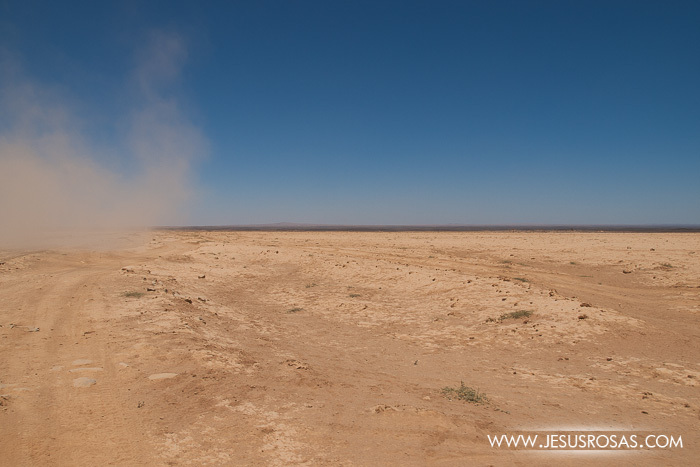 The cloud of dust you see in the picture is what we left behind while making our way through the desert on our truck. 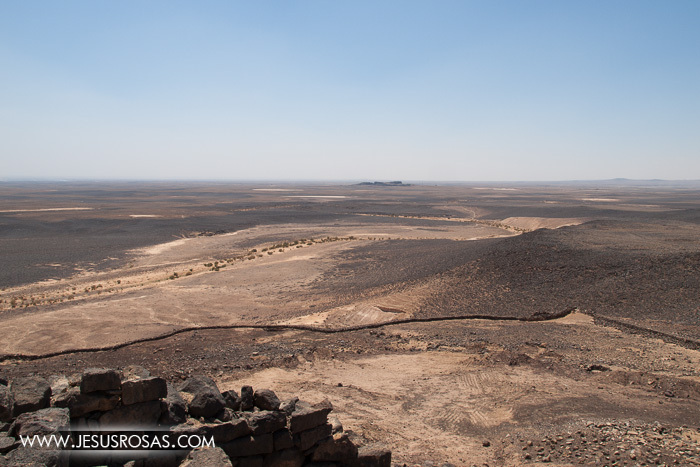 We sped towards the barren and endless horizon of a valley known as Wadi Juhaysh. I felt released, I breathed deeply and then I felt peace; I felt the air and freedom with it. I was being led and I could just sit and relax. My eyes capture the infinite sky and felt grateful. I saw the horizon ahead as if it were the representation of my future: unknown, hopeful, intriguing, adventurous, and exciting! We continued for about 40 minutes, but to me they seemed like 5 minutes. We had approached an unexpected sight. In the middle of nowhere, a green and dense tree was surrounded by a large fence. 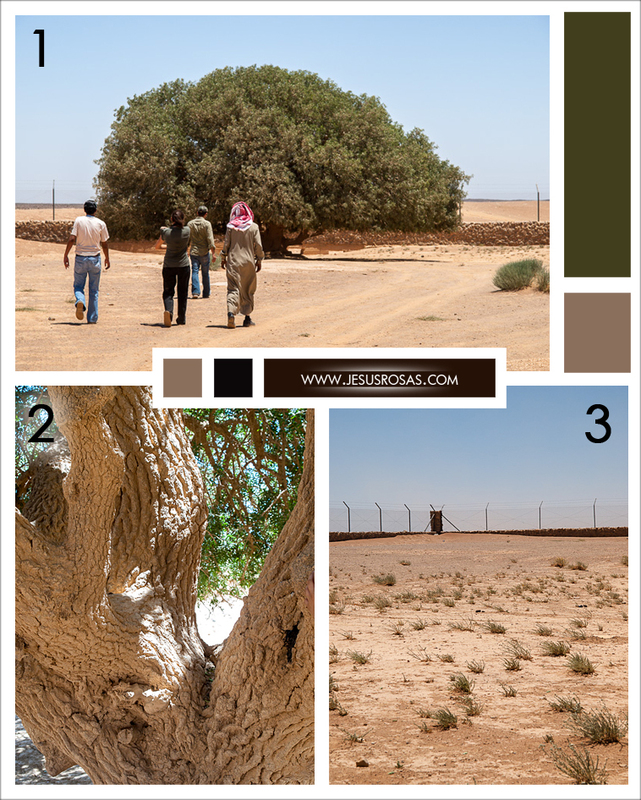 We had arrived at what it’s called the Sahabi Tree, also known as the Blessed Tree. One of the first pictures I took of the tree in the middle of nowhere. Well… there is a fence and some sort of a booth. 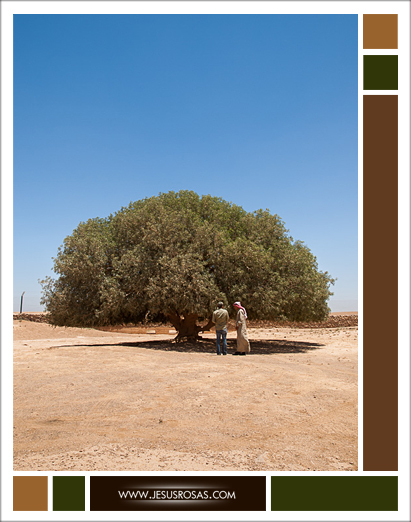 The Blessed Tree or Sahabi Tree. 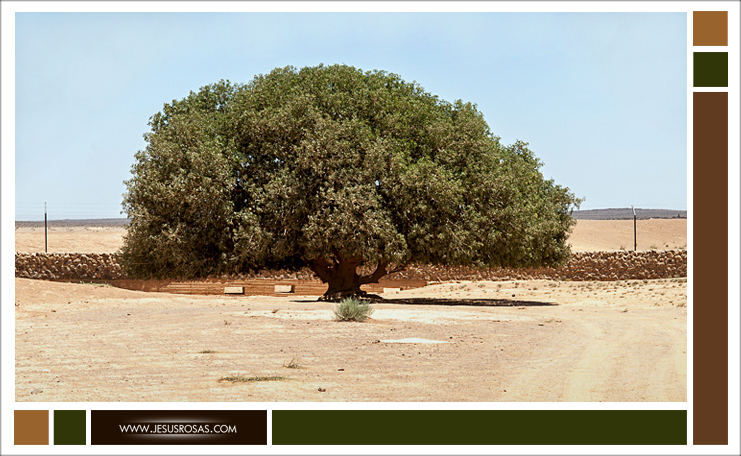 According to Muslims, under this tree is where Mohammed found shed during a trip in his youth.If you want to know the exact location, the coordinates are 32°03’57.7″N 37°08’51.8″E or 32.066025, 37.147728. We were told that the tree was the only living witness of the Muslim Prophet Muhammad. In his youth, the future leader was traveling in a caravan with his uncle Abu Talib and the story says that he met a Christian monk named Bahira who saw a cloud following the boy anywhere he went. 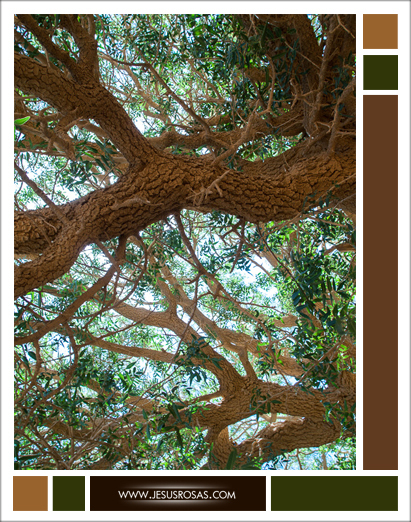 The young Muhammad sat under the tree whose branches bent before him. The monk who was feeding everyone else in the caravan asked that Muhammad was also brought. Bahira was intrigued by the boy. He fed him and asked him some questions. Based on the answers the monk concluded that the young Muhammad matched the characteristics of an awaited last prophet that he had read about in some books. He talked to Abu Talib and convinced him to take the boy back home because there were some Jews that would want to harm him. Due to this story, the tree is considered special by many people. They called it sahabi, which is a designated name to anyone who saw and believed in Muhammed and remained Muslim until dead. After hearing the story, my friends and I took a look around and admire the accented texture, winding branches, and green leaves of the tree. It is interesting that the lack of other vegetation made me pay a lot of attention to that sole tree. Perhaps it’s during abundance when I notice less the things around me, and it’s in scarcity when I value them more. Picture 1. Right when we entered the fenced area and walking towards the tree. Picture 2. This is a close-up of the trunk of the tree. Notice its texture. Picture 3. The fenced area surrounding the tree. This is one of my favorite pictures. Notice how the light of the sun filtering through the leaves turns soft and slightly green. And some of the branches seem to have a light of its own. My good friend talking to one of our guides in front of the tree. 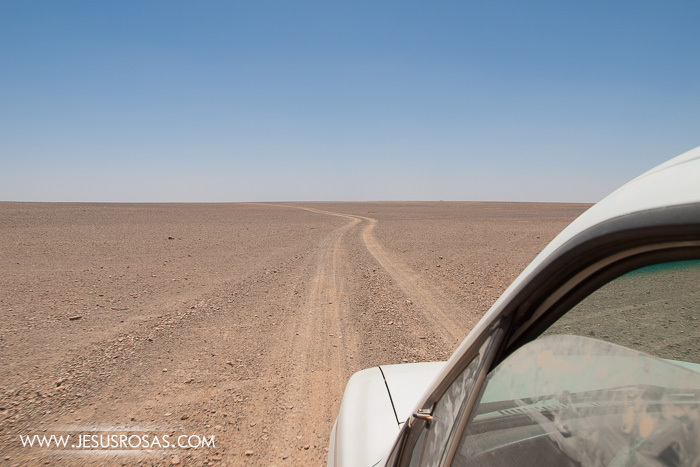 We went back to our truck and continued our trip through the empty land for about 10 to 15 more minutes. 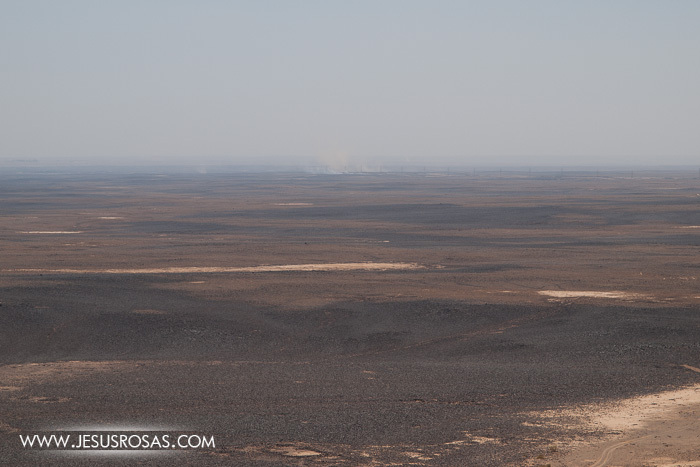 To my surprise again, in such an arid and barren landscape, we saw a large tent of a Bedouin family and an old truck just a few meters away. 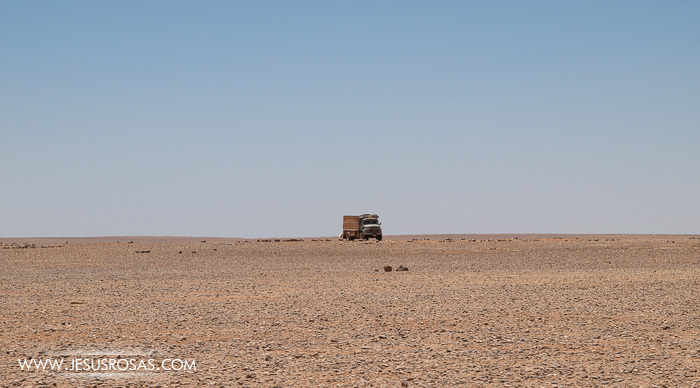 Again in the middle of nowhere, we saw this truck and a Bedouin tent nearby. 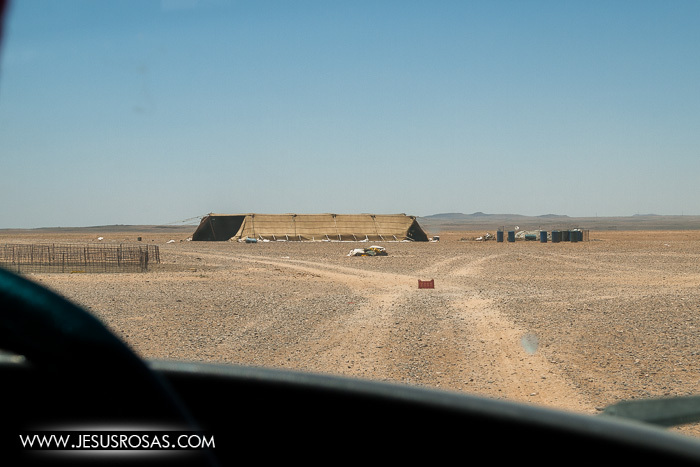 This is how the Bedouin tent looked like from our truck. We stopped, got off, and met the owner of the tent who greeted us and invited us to come in. A couple of children appeared showing great excitement when they saw us. The only girl of our group was invited to go farther crossing a large divider inside the tent and mingle with a couple of women. We men stayed in the first section separated by the divider and never saw the women. 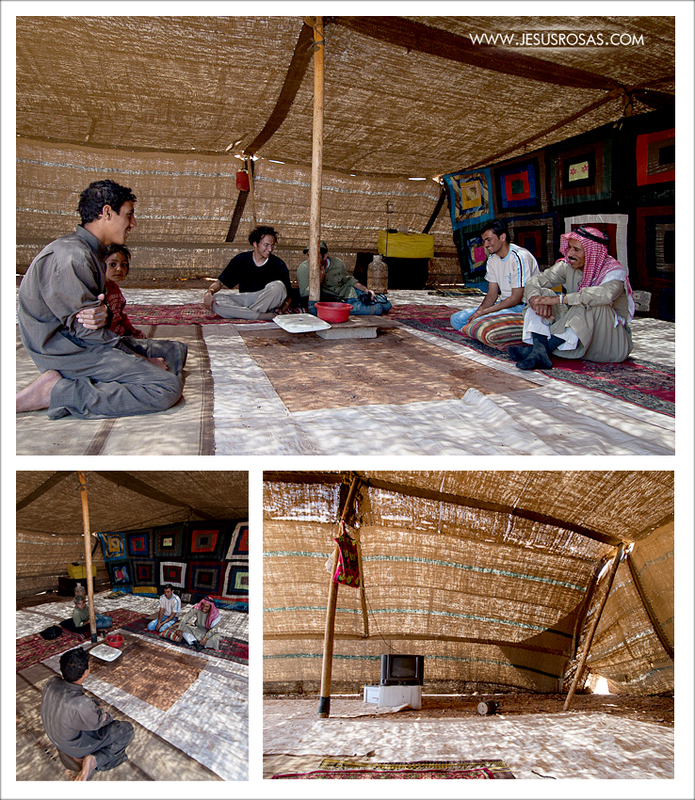 The old man, and owner of the tent, offered us Arabian coffee, I kindly told him that I didn’t drink coffee. He was very eager to share something with me, so he offered me tea. Again, I kindly declined, telling him that I didn’t drink tea either. He asked what he could offer me, I thought “a pina colada without alcohol would be wonderful”, but I didn’t know how to say that in Arabic, and they probably wouldn’t have it anyways, so I told him water would be okay. He smiled and asked a boy to bring some water. The boy crossed the divider inside the tent and when he appeared again, he was holding a bowl of metal with many flies around it. Several flies were comfortably resting around the top of the bowl. After seeing the container, any sign of thirst was gone for sure. The boy gave me the bowl, but I passed it to others first hoping the water would be all gone. The bowl was passed person to person who would sip some water and go to the next one. Unfortunately, the bowl came back to me still with plenty of water inside. Everyone was looking at me, I smiled while some flies were surrounding my face, hands, and container. I lifted the bowl, immersed my head into the cloud of flies and approached the container to my lips with huge desires to live. They all seemed pleased. I sincerely thanked our host for his kindness. For the next few minutes we just remained sitting and smiling at each other and occasionally breaking the silence with the same short dialogue: “How are you?”, “I’m great, Alhamdulillah (praise be to God in Arabic)” and that was most of it. Despite the simplicity, silence, and occasional same dialogue, it was a happy moment. We were resting in such an unusual setting with a man who had lived a whole life in the desert, and irrespective of the lack of wealth and basic services, he and his family seemed happy. They truly showed a sincere joy in life. The man had all what he cared the most right there inside his tent. And everyone inside, at least those who I saw, seemed to share the same view. They didn’t have to compete against others, they didn’t show any signs of arrogance, faked personalities, or concerns for life challenges; they were unaware of many things around the world, yet they just knew that they had to get enough for a living and enjoy life. Sitting in the Bedouin tent. The part we went in, would be some sort of living room. Notice the old TV. In the top picture, behind our guides, you can see a brown “curtain” with squares. The women were behind that big piece of fabric. After some more minutes we say goodbye to each other knowing that we probably wouldn’t see each other again in this life. They smiled and waved at us while we began the engine of our truck. 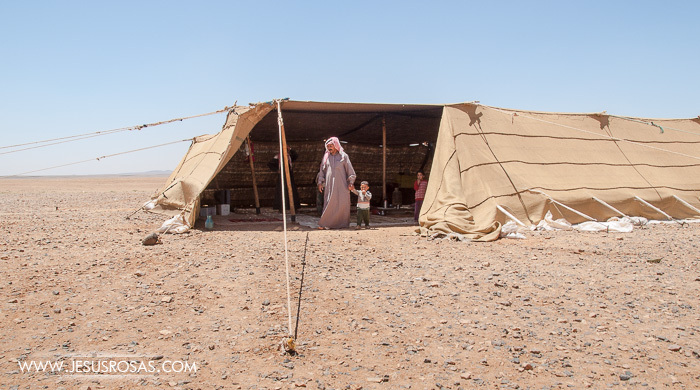 Our Bedouin host coming out of the tent to say goodbye. We were already on the truck when I took this picture. 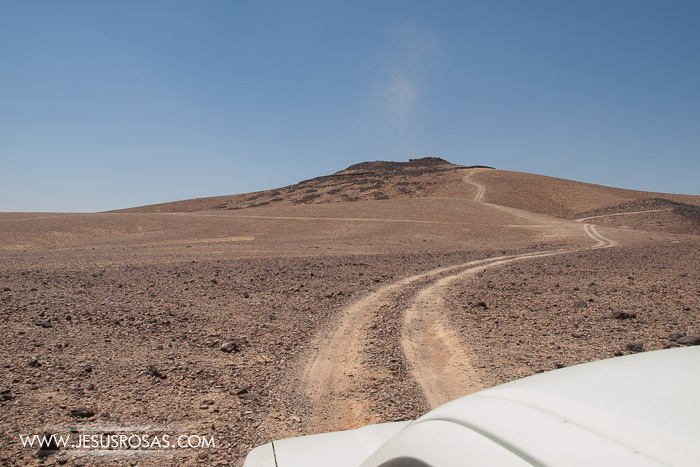 We continued our trip and a road started to take form between volcanic or, more specific, basaltic rocks. 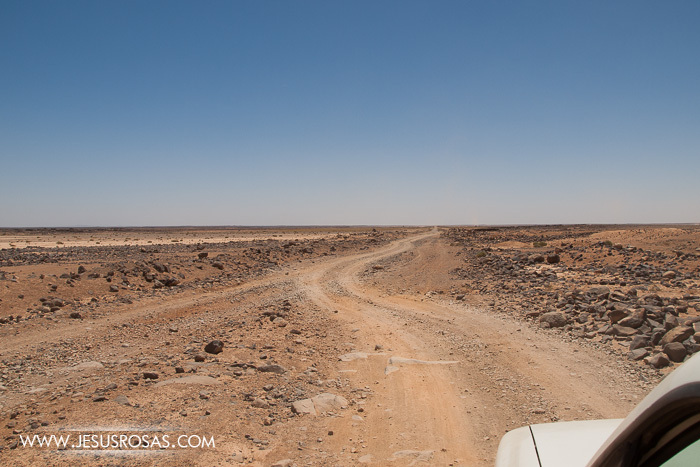 We then followed some tracks left on the desert on our way to our next destination. 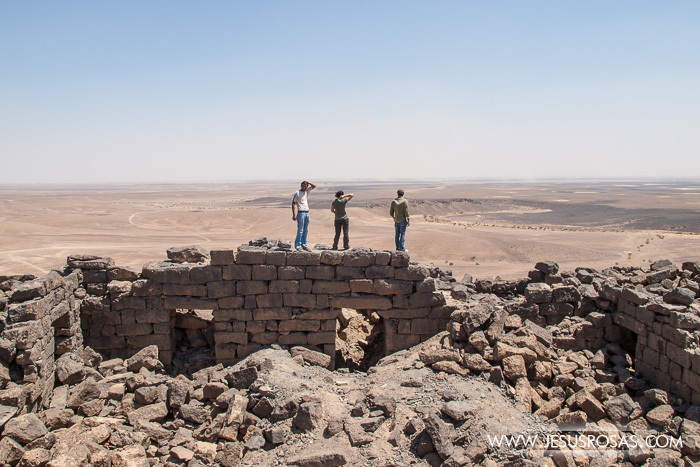 Around 30 or 40 minutes after, we arrived at Qasr Usaykhim, the ancient ruins of a Roman fortress built in the 3rd century. Most of the ruins were a couple of walls and doors. But one structure caught my attention, an old arch still standing despite being relatively thin. Everything else around was destroyed years ago. Arriving at Qasr Usaykhim ruins. The arch was really well built. In case of an earthquake and I can’t go outside, I know where to go. And “what if there aren’t any arches?” I can hear myself. Well, I don’t know… door frames? Go under a strong and solid table?… Ah, I just got an idea! If I have the privilege of having my own family, I would like to have emergency drills for different types of scenarios. I think it would be a fun activity for Family Home Evening. Cultural Note: Something interesting about the arch in architecture is that although it was developed in Mesopotamia in the 2nd millennium B.C., the Romans were the ones that took full advantage of it creating large arches that could support colossal constructions on top of them. They were also widely used to create monumental domes and strong vaults. Their success using arches alone or with domes and vaults has influenced architecture around the world through the centuries. Today we can see arches virtually in every country. My company on top of a strong wall and two doors still standing today. From the top of Qasr Usaykhim you can have this view. Another view from the top of Qasr Usaykhim. Our truck and Bedouin guide. Coming back to the old ruins. 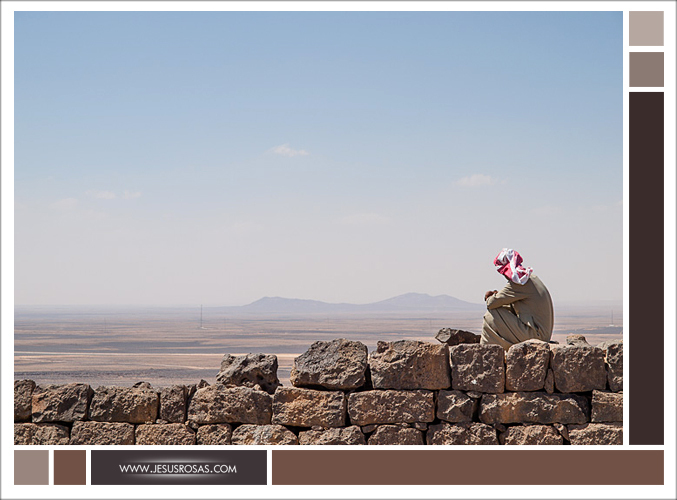 I looked at my company and noticed that our Bedouin guide, who was a quiet man, seemed to enjoy having time alone. He climbed several places and tended to stare into the sky, the horizon, or the ground daydreaming or be lost in his thoughts. I caught him a couple of times with my camera. One of our guides was a true Bedouin. Unfortunately, I can’t remember his name. The red-and-white kufiya (headdress) design is one the most popular ones in Jordan. Our Bedouin guide. Notice his traditional outfit. After some pictures around, we had to head back home. 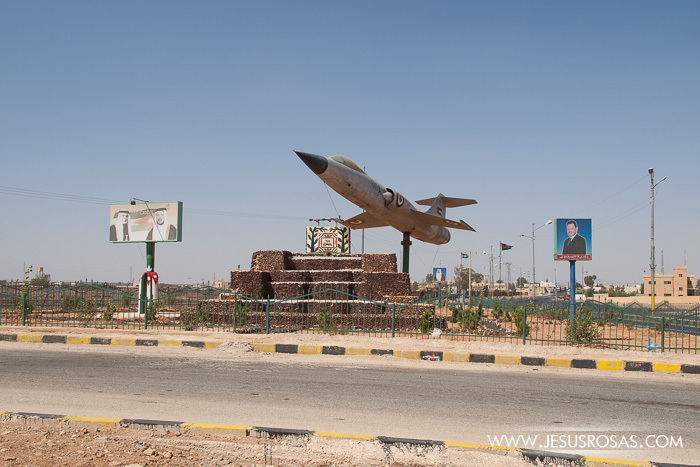 We went back to Safawi, said goodbye to our two guides, and got on a bus to Amman. 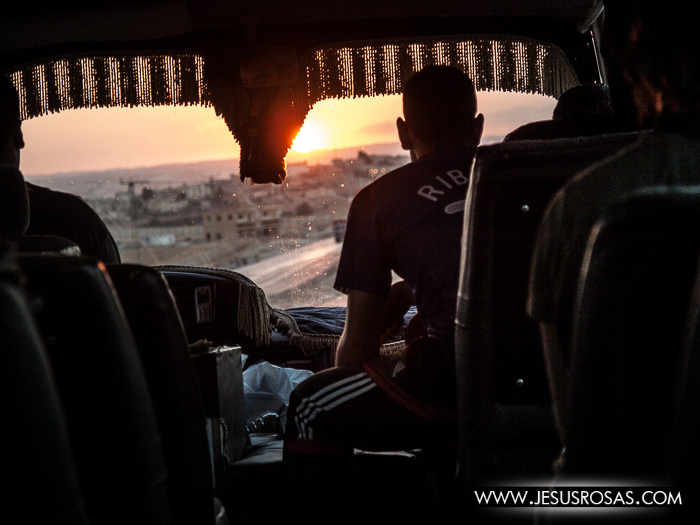 My friends and I rode towards the sunset and our day concluded arriving in Amman. Safawi. This plane is probably the most iconic site, you will get from Safawi. 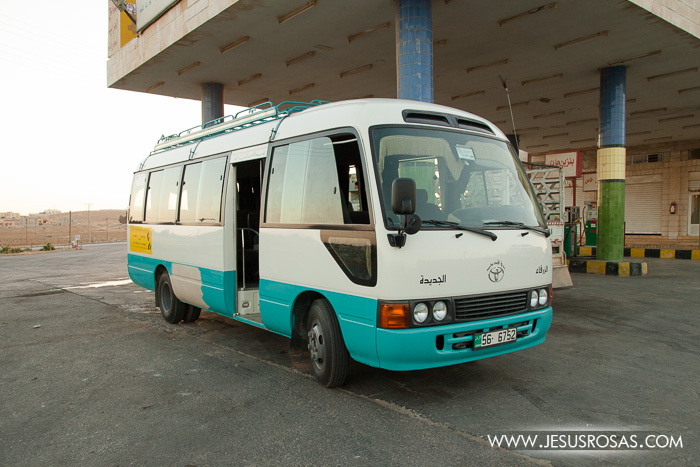 The bus we rode back to Amman. Going back to Amman on the bus. We had the entire bus just for us most of the time. My fellow travelers were so tired that they fell asleep. During the trip I talked to the bus driver and his friend. Later on a couple of people got on the bus. We were still going after the sun. 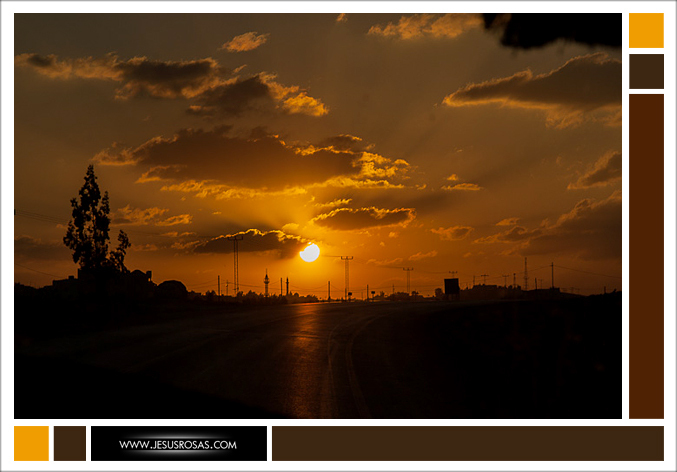 The road back to Amman took us towards a summer sunset. So what do you think about this trip? Have you ever felt like you wanted or needed to escape from school, work, or other activities? Please share some comments below. If you don’t see the comments section, reload the page (pressing CTRL + R). If you liked this post, click on the Facebook or Twitter buttons below and share it. And don’t miss my next post, subscribe so you can be notified by email. See you next time! Luck, Taylor. 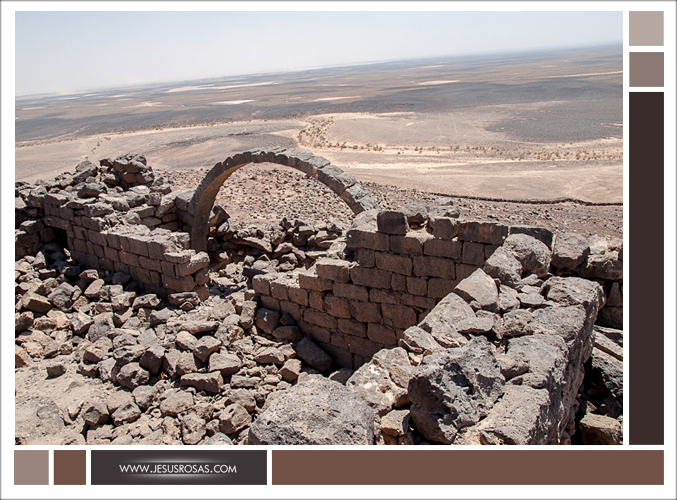 “Qasr Usaykhim: An Outpost on the Edge of Civilisation.” The Jordanian Times. Jordan Press Fundation, 26 Feb. 2010. Web. 22 June 2015. 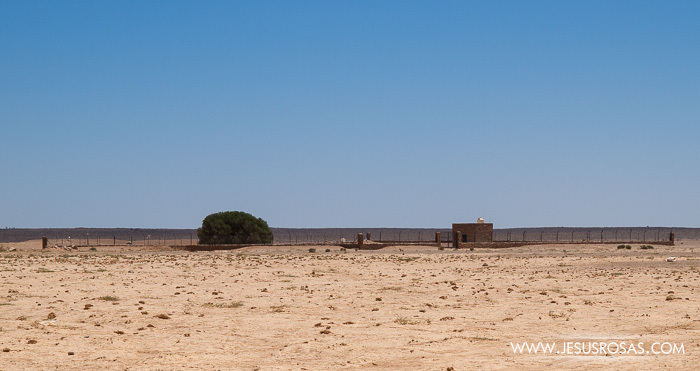 <http://jordantimes.com/news/local/qasr-usaykhim-outpost-edge-civilisation>. All pictures were taken by Jesús Rosas.